WALLACE REVERDY BISHOP, M. D.
Wallace Reverdy Bishop, M. D., practiced medicine in Talladega. He was born in that city, Feb. 4, 1873. 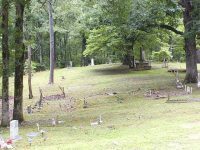 His grandparents, on both sides, were early settlers of Talladega county. His paternal grandfather was planter and an inventor of agricultural implements. His father, Judge John Webster Bishop, married Ophelia Montgomery, daughter of James and Sarah (Orr) Montgomery, both natives of South Carolina, where he was a large landowner and slaveholder. 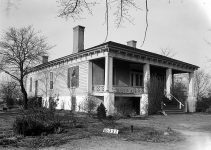 After coming to Alabama he became the owner of a large tract of land and at the beginning of the Civil war owned a considerable number of slaves. He died in 1883, and his wife in 1896. Judge John W. Bishop began life as a poor boy but worked his way through the University of Alabama, 1851-54, and afterward graduated from the law department of the same institution. 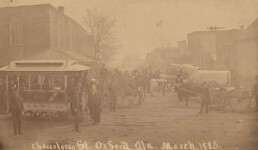 He practiced law in Talladega until 1891, when he was elected judge of the city court, and continued in that office until his death, Oct. 10, 1900. Doctor Bishop received his primary education in the public schools of Talladega. 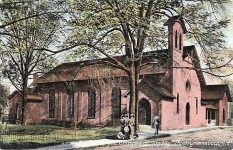 In 1893 he graduated from Alabama Polytechnic institute at Auburn, Ala., and in 1895 from the medical department of Tulane university, of New Orleans. The same year he began practice in his native town, where he has a large patronage. In 1896 he took a course in the New York Post-Graduate Medical college, and in 1900 in the New York Polytechnic institute. 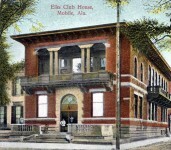 He was a member of the State Medical association of Alabama and was secretary of the Talladega county Medical society. In politics, he was a firm believer in the principles advocated by the Democratic party and was a member of the city council. He belonged to Highland City lodge, No. 45, Knights of Pythias, and to Talladega lodge, No. 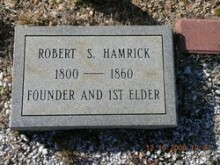 30, Independent Order of Odd Fellows, in both of which he was a highly respected member. In January 1901, he was married to Virginia Camp, whose father, L. A. 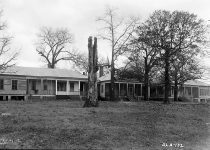 Camp, was a prominent railroad official of Columbus, Ga. Doctor Bishop was a Baptist, his wife was a Methodist, and his mother was a Presbyterian. Dr. Wallace Reverdy Bishop died Aug 4, 1908, and is buried in Oak Hill Cemetery in Talladega, Alabama.